Video games have a bad rap for being mindless time wasters that don’t offer anything positive to society at large. They are seen in the eyes of many as children’s games that don’t deserve the same artistic considerations that film or music garners. Those that think this couldn’t be further from the truth. 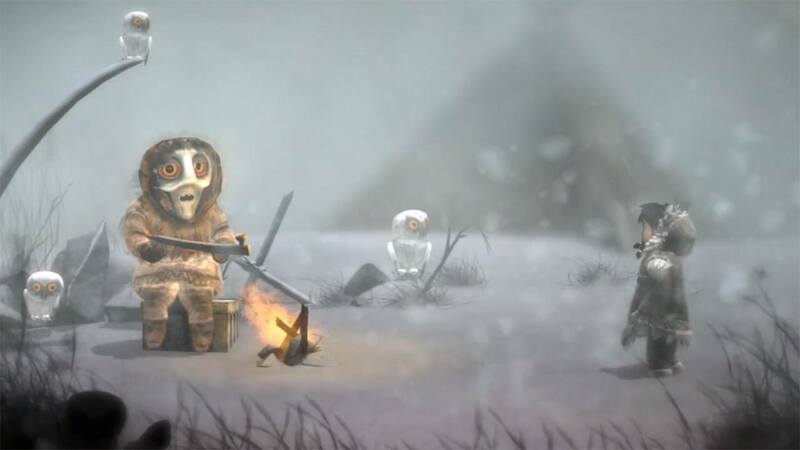 Upper One Games and E-Line Media has set out to dispel the aforementioned idea with their game, Never Alone. As a way to present the cultural aspects of an indigenous people of Alaska, Never Alone is the first game that has been totally developed in collaboration with the Iñupiat. Approximately 40 Iñupiat elders, various members of the community and storytellers contributed to this games development. 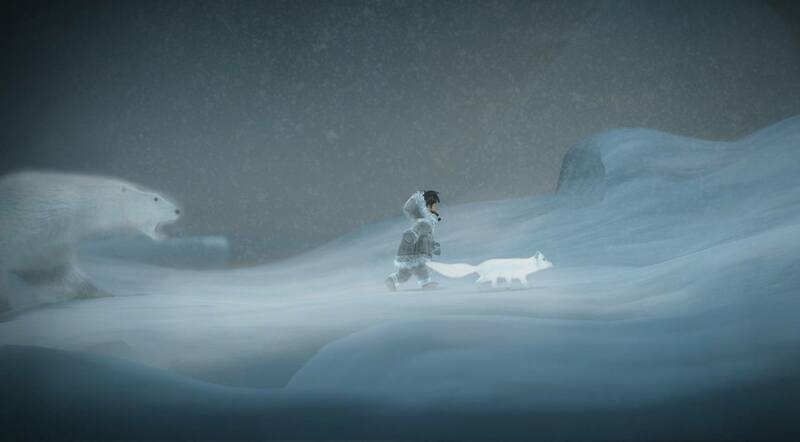 You play as a young Iñupiat girl and an arctic fox, who sets out on a dangerous trek to find the source of the eternal blizzard which threatens the survival of their entire village. Nuna is a courageous girl who will face unknown obstacles to save her family. In Never Alone, you have the opportunity to guide both Nuna and her snow fox friend in single-player mode or with someone else as well in co-op mode. Your journey will task you with trekking through the frozen tundra, taking bold leaps across treacherous ice floes, swimming through frigid, underwater ice caverns in addition to facing off with numerous enemies both big and small, strange and familiar. This is a very intelligent puzzle/platformer that tells a gripping story while presenting fun gameplay in a refreshingly unique environment. While most of the game simply has you platforming your way through the levels, there are some intriguing puzzles that must be solved at certain points in order to proceed. You must use your hunting and survival skills to your advantage as well as using the environment and ancient spirits to help clear the way to whatever is threatening the future of your community. The visuals in Never Alone are one aspect of the game that really stood out to me. Nuna’s journey takes place in a cold, desolate environment so don’t expect to be bombarded with colorful backdrops and characters. The most colorful element that you will come across is Nuna herself as she sports a very practical, brown animal skin coat that protects her from the harsh elements that she will come into contact with. Many areas in the game are just snow covered landscapes for as far as the eye can see as well as ice floes and brambly tree limbs devoid of leaves. The star of the game is the snow and wind effects that will help you to achieve hard to reach ledges or give you a boost to make the long jumps to continue forward. You can watch how the wind changes the direction of the falling, glistening, white snow and use it to your advantage when you come to a place where your regular abilities just aren’t enough to help you proceed. Strong winds will blow you over and blowing snow will blind you but you can use them to your advantage. 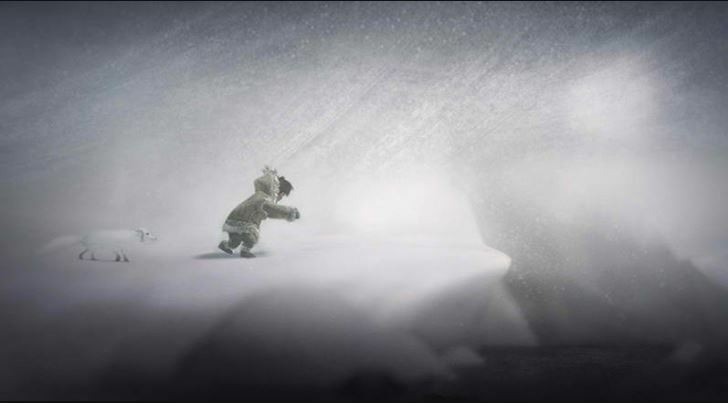 The sound effects in Never Alone also play an integral part in providing the player with cues to when danger is near or to when the shifting winds will change in your favor or against you. Along with the visual cues, the sound of the wind alerts the player to when it will pick up enough to actually lift Nuna up and carry her farther that her normal jump will. Timing your jumps just right using the sound of the blowing winds allows you to make precision moves that aren’t possible otherwise. In addition, Nuna never speaks a single word but she will moan in grief if her fox friend is killed and her fox friend will whine in sadness if Nuna misses a jump and falls into a crevasse. The grunts of polar bears and the billowing fire attacks of the Manslayer bring the dangers that Nuna faces into stark reality as you make your way to the games end. Never Alone is only about six hours long but in that time, it is able to communicate a tale that is both touching and shows that no matter your size, age or gender, if you set your mind to something, great things can happen. 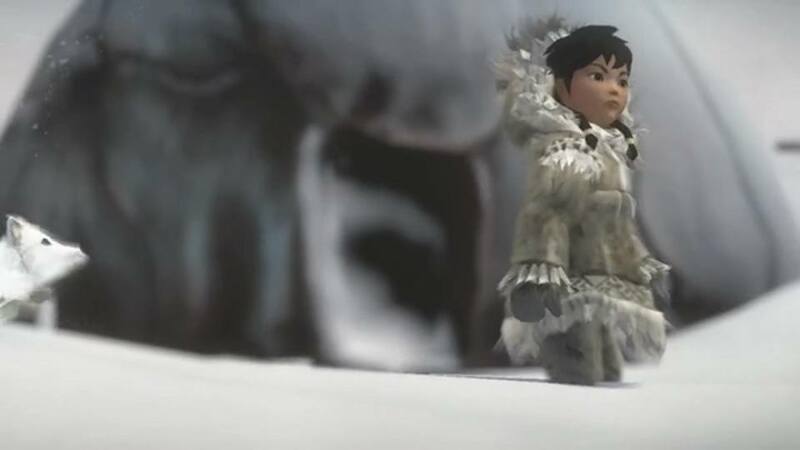 At certain points in the game, the player can unlock short videos that give cultural insight into either a cultural aspect of the Iñupiat or an aspect of the story that is unfolding before you. It gives an awesome insight into how the Iñupiat have been able to survive for so long in such a harsh environment as well as how the stories and traditions were passed down from generation to generation. Furthermore, having the protagonist be a girl and a young child no older than eight (Nuna’s age is never specified) makes this tale even more special. Without a single moment of hesitation, this young girl takes it upon herself to save everyone that she loves using only her wits and the help of a little snow fox. Helping this guy will award you a cool addition to the tools you will need to finish your quest. While the story and setting of Never Alone is outstanding, there were a few technical issues that marred the finish a bit. Controlling the snow fox could be a little daunting at times. The movement of the fox isn’t as smooth as it could be and could lead you to a start-over because you simply wasn’t able to maneuver as precisely as you can with Nuna. Also, there are places in the environment when either Nuna or the snow fox could get caught up in the levels geometry and the games only recourse is to give you the game over screen and start you from a previous checkpoint. The only saving grace is that the checkpoint system is very generous so you never have to start very far from where you died. These are issues that Upper One Games is aware of and, at the time of this writing, have posted a notice on their website that an update will be coming soon to address these issues. Hungry polar bears are just one of the dangers that Nuna will face on her journey. Never Alone is the first game in a series of games that will encompass what Upper One Games calls “World Games.” Games in this new genre will draw their inspiration totally from the richness of unique cultures to create complex and fascinating game worlds. It would be nice to see games from the perspective of African, Asian or Brazilian tribes that tells the story of a tale that has been passed down among their respective peoples. Drawing on these tales as a way to educate and entertain is something that I think is an awesome idea that shakes the foundations of what most people think of video games as well as giving those of us who enjoy video games something other than shooting aliens, racing exotic cars or scoring touchdowns. The game is now available on STEAM for $14.99.